unknown. The brand’s first ever television spot presented the opportunity to activate passionate pet parents into brand ambassadors, while amplifying Halo’s transformative nutrition message and giving story. 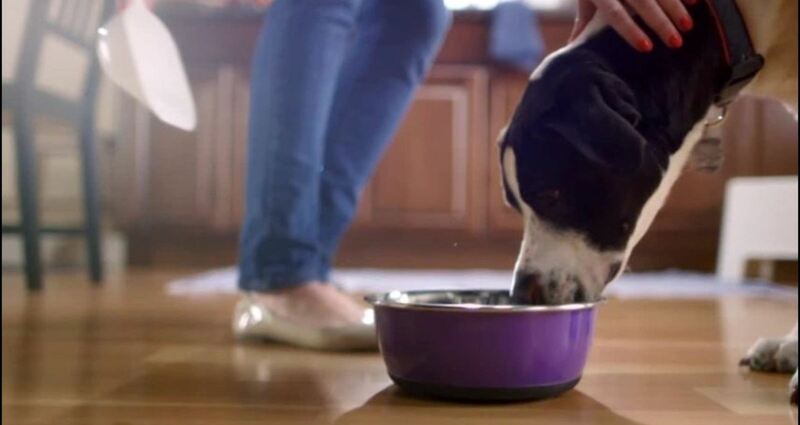 The commercial follows a bowl of Halo from adopted dog to shelter dog. It depicts the adopted dog fulfilling Halo’s differentiator, feeding it forward to shelter animal in need of nutrition. The viewer becomes the beneficiary of Halo’s giving story while simultaneously building awareness for the brand’s mission by asking for a photo to be shared. For each photo shared, Halo responded with an invitation for trial, a coupon. In four test markets, year-over-year sales increased 40% and shared over 700 posts to Instagram.